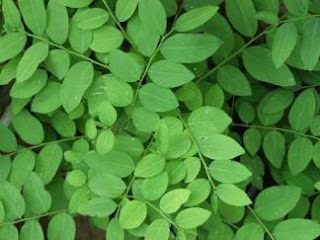 Katuk leaf is generally used to smooth milk. This leaf is produced as a nutritious supply fitofarmaka to smooth milk. This is evidenced at least ten products containing milk facilitating katuk leaf has been in Indonesia since 2000. In addition, consumption katuk by nursing mothers may increase the time women breastfeed significantly. During this study the side effects of the use of the leaf as facilitating breastfeeding katuk this still has not been done in Indonesia, so it has not been proven 100 percent safe. In America, the leaves katuk fries, salad and katuk and beverages consumed by many people as an anti-obesity drug (slimming body). But do you know? apparently the leaf katuk also has other benefits. What are they? Turned out katuk the leaf is the only local plants that have high levels of chlorophyll, it contains large amounts of antioxidants that are beneficial for preventing free radicals and prevents premature aging. Katuk Leaf also efficacious to overcome disease anemia (anemia). Katuk increase the absorption efficiency of the digestive tract, preventing fatigue, and inhibit the occurrence of chronic diseases of blood vessels. Green leaves with small form also prevents eye diseases. Promote cell growth and maintain healthy skin, because they contain a lot of vitamin A.
Amazingly, the leaf can evoke sexual vitality and enhance the quality and quantity of sperm, because the rich phytochemical compounds. Leaf can also prevent osteoporosis, because it contains a lot of calcium the body needs to maintain bone density.